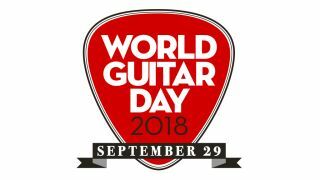 Today the global guitar playing community will come together for World Guitar Day 2018, a special online celebration of all things electric and acoustic guitar. World Guitar Day is an opportunity to salute the players who have shaped guitar music, to acknowledge the unique spirit of the worldwide guitar playing community and inspire future guitar stars. Throughout World Guitar Day, guitarists will have access to exclusive interviews, live Q&As and blogs with a ‘who’s who’ of guitar celebrities – true icons of the guitar, on-hand to share their wisdom, stories and playing secrets. We'll be posting all our stories, and the best of the rest here in our hub, so stay tuned to this page for 24 hours of pure guitar-mageddon. - Slash: "Technique can become the main aspiration, but for me, it’s more about expressing some sort of emotional content"
- James Bay – The World Guitar Day interview: "I don’t want to copy. I want to find new ways to make people hear the guitar"
- Tom Morello: "The guitar itself, independent of any lyrics, can be politically revolutionary"
- The greatest guitar riff of the 21st century revealed! - Guthrie Govan: "The older, wiser player knows in a deep, intuitive way that it’s the quality of the playing that counts"
- Greta Van Fleet’s Jake Kiszka: "I think the guitar still has a lot of evolving to do"
World Guitar Day is all about celebrating the instrument, and this includes helping guitarists around the world improve their craft, as well as encouraging newbies to pick up a guitar for the first time. Keep your eyes peeled for a raft of fantastic lessons, tutorials, tips and features for all levels of guitarist. In addition to our Acoustic Guitarist, Young Guitarist and Guitarist of the Year finals taking place at the UK Guitar Show, today we'll also be bringing you a live Twitter Q&A with Chris Robertson and Ben Wells of Black Stone Cherry, and a Facebook Live session with Lzzy and Joe from Halestorm. Stay tuned to our socials for the latest on those. Amongst many other famous guitar folk getting involved in World Guitar Day, we’ll be publishing brand new interviews with James Bay, Tom Morello, Slash and Guthrie Govan. We’re a little biased here at MusicRadar, but we think the guitar is bloody amazing; and celebrating that is exactly what World Guitar Day is all about. If, like us, the guitar isn’t just an instrument but also a social tool and a form of therapy and escape, you’ll love our new feature on the physical and mental health benefits of playing guitar. We’ll be sharing our thoughts on the day, and we’d love to hear from you on the subject too. 5. The greatest riff of the 21st century, revealed! You’ve been voting in your thousands in the run up to World Guitar Day 2018, and later today we'll be revealing the riff you voted as the greatest of this century. Not happy with the result? Tell us which riff should have won and why!